Article Excerpt: "... With Pulpit Rock in the foreground, most of the area in the valley below the overlook is part of the Talladega National Forest, which surrounds the state park..."
Article Excerpt: "... HUNTSVILLE, Ala. (WAAY) - Police say a K-9 unit helped them find dozens of pounds of pot traveling through the U.S. postal system in January ..."
Will Huntsville's mail be saved? 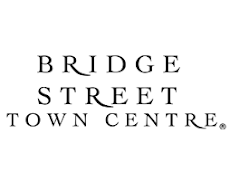 Article Excerpt: "... measure would save about half the mail processing centers the Postal Service wants to close, from 252 to 125, allowing more areas to maintain overnight first-class mail delivery for at least three more years ..."
Article Excerpt: "... Postal Service stands to lose billions of dollars in the first year after it closes 200 mail processing facilities and slows the delivery of first-class mail, according to a feasibility study released this week. ...“No wonder the Postal Service wanted to keep this report a secret,” Rep. Gerald E. Connolly (D-Va.) said Thursday. ..."
Article Excerpt: Huntsville, Alabama - The U.S. Postal Service announced today that the Huntsville Mail Processing Facility located on Wall Triana near Madison, Alabama, will close. Postal officials announced the news, adding that the facility would not close prior to May 15, 2012 due to a congressional moratorium on plant closures until that time. Operations will eventually be moved to Birmingham, Alabama. Huntsville had already lost its historical postmark at the end of 2011. Postal officials also stated that the U. S. Postal Service is also considering early retirement programs and possible buyout incentives to reduce the number of postal employees. Article Excerpt: "... commission adopted a resolution Friday in support of keeping the mail-processing facility here open. Chair Mike Gillespie said the resolution would be sent to the U.S. Postal Service Board of Governors and would ..."
Article Excerpt: "... commission adopted a resolution Friday in support of keeping the mail-processing facility here open. Chair Mike Gillespie said the resolution would be sent to the U.S. Postal Service Board of Governors and would be personally delivered to members of the congressional ..."
Article Excerpt: "...The Postal Service is planning public meetings Dec. 14 in Decatur and Dec. 15 in Tuscaloosa to collect input. Comments made at the meetings or submitted in writing will be entered into the record and considered by regional and national administrators, Fetterly said. "There have been cases where a mail processing center and/or a local Post Office have not closed due to community input," Fetterly said. ..."
35203-9711. They will be accepted through Dec. 29. 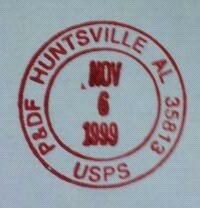 Huntsville may lose its identity, but postal jobs safe! Article Excerpt: "...Responding to a question from Lynn Pratt, a postal employee in Hazel Green whose husband also works for the postal service, Mitchell left no doubt about job security. "Everyone who has a job right now will continue to have a job," Mitchell said. "We don't anticipate anyone losing their job. I guarantee you that." ..."